(1851-1947) An early member of the Society and an accomplished observer. Society President (1918-19). ALLAN F. MILLER (1851-1947) was born in Dublin, Ireland, the son of a sea captain. The brilliant stars of the Southern Cross seen from the deck of his father's ship, formed a lasting impression. After his father retired, the family moved to Canada. Allan attended school in Toronto, graduated with high honours, and embarked on a career in business. In 1876 he joined the Toronto General Hospital as Assistant Secretary and worked there for 43 years, eventually becoming Secretary-Treasurer. His administrative abilities were highly regarded by the Hospital. He was proud of the fact that one of his children, Frederick, became a noted doctor at the University of Western Ontario. In 1881, Allan Miller met Elvins and joined his coterie of astronomical enthusiasts. The following year, in time for the transit of Venus, Miller acquired a fine four-inch refractor made by Wray. This he mounted, with clock drive, in an observatory at his home at 280 Carlton Street, and equipped it with a Browning spectroscope, a filar micrometer and other accessories. (The telescope is now owned by the Victoria Centre.) Miller did some remarkable, pioneering work with this equipment. He made spectroscopic observations of Nova Aurigae (1891), photographed the solar spectrum and, in 1892, was probably the first person in Canada to study solar prominences. (In this endeavour he had the advice of G.E. Hale with whom he corresponded.) Miller also investigated the spectrum of light emitted by fireflies. His astrophysical knowledge was so impressive that he was appointed a member of the National Committee for Canada for the IAU, a body normally composed of professional astronomers. 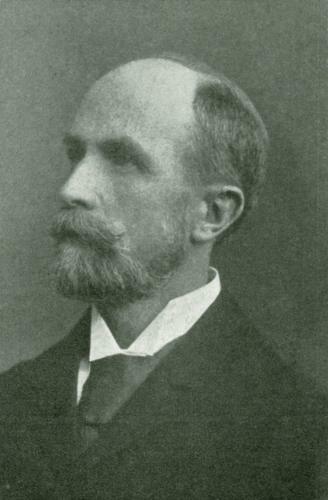 Miller spoke at meetings on many occasions from the earliest days and wrote 28 papers for the Society's publications until his eyesight deteriorated very badly. He served the Society as Librarian, Vice-President and as President in 1918-19. Displaying 25 - 26 of 26 items (page 7 of 7).